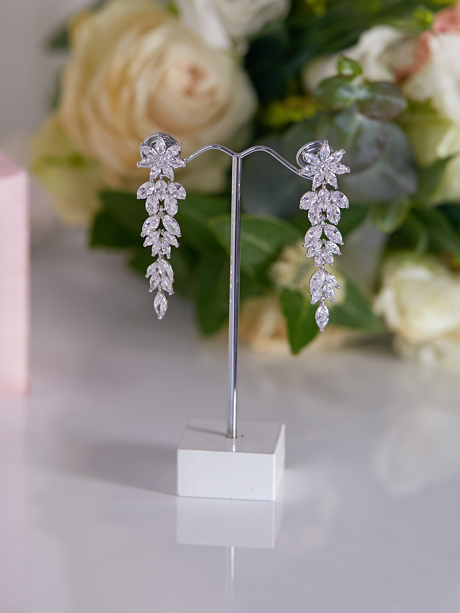 Celebrate Australian style with the Eden Bridal Earrings. 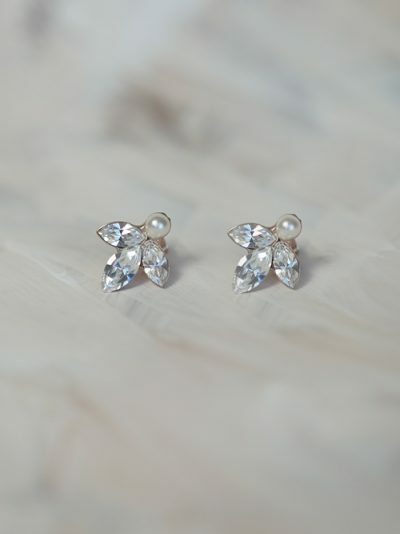 These coastal gems are dainty and classic and fit for the modern traditional bride. Refreshing and inviting gems that will become a staple jewellery piece for years to come. Inspired by the beautiful Sapphire Coast, the Eden Crystal Earrings are a timeless addition to your bridal look. Dainty and sweet, these earrings are the coastal glamour expression you need. Three leaf-like crystal petals hang from the studded pearl. The petals can point downward for a contemporary look or go art deco style and flip them upside down. Also available in the Eden wedding jewellery collection is the Eden bridal hair comb and Eden bridal necklace. These classic earrings pair with the Eden Wedding Bracelet, creating a touch of something unusual. Don’t be afraid to add a little flare to your wedding day style. Be true to you. The Eden bridal jewellery collection is Made in Australia by Hello Lovers. Com visit our Melbourne wedding jewellery showroom if you would like to see the Eden jewellery set in person.